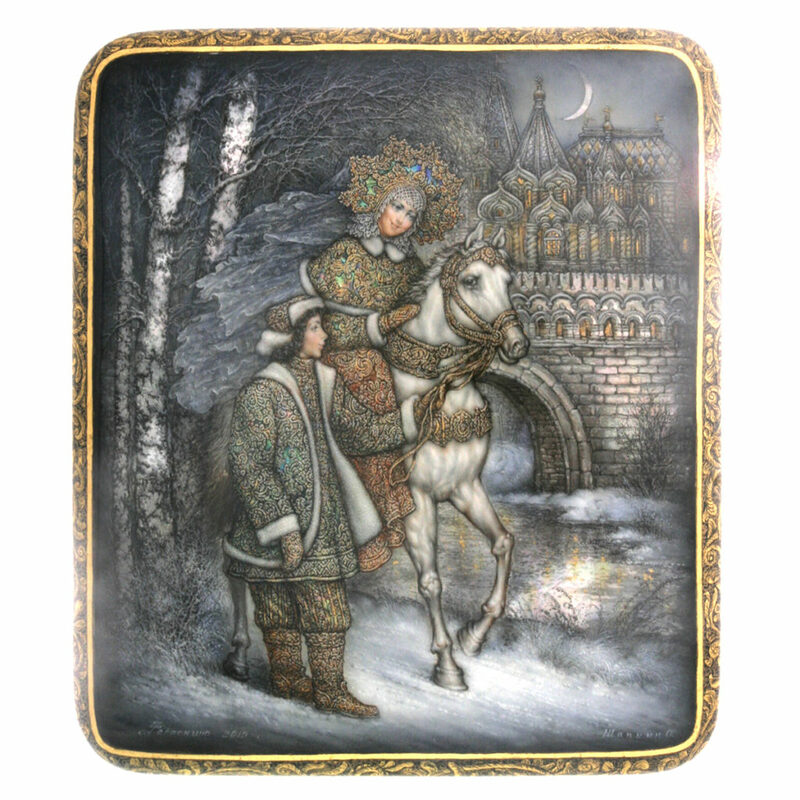 Exceptional lacquered box very representative of the miniaturist school of Fedoskino, painted by Oleg Shapkin, and showing a Russian noble couple advancing by moonlight on the edge of a river with a bridge and a castle in the background. 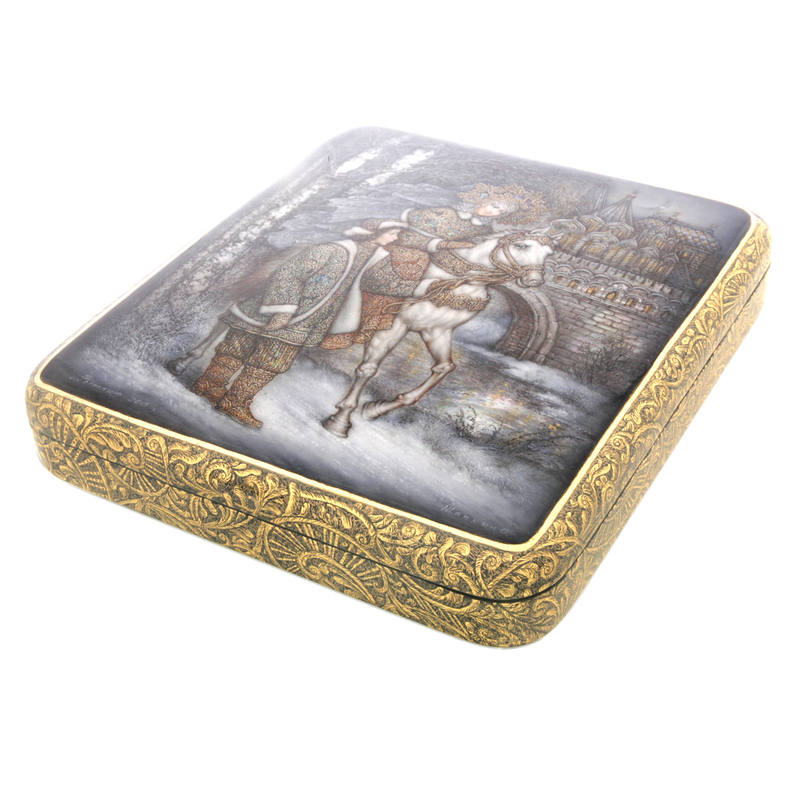 The sartorial look and the pictorial realism of the details are in every way exceptional and one can see with a magnifying glass the details of the faces as well as the morphology of the horse portrayed with an impressive realism. 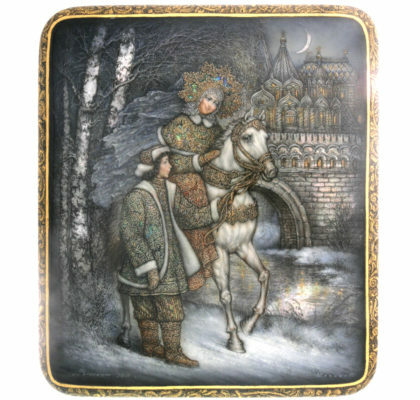 Many pieces of Mother of Pearl inlays cleverly under the many layers of translucent colors give the moonlight clarity a great effect. 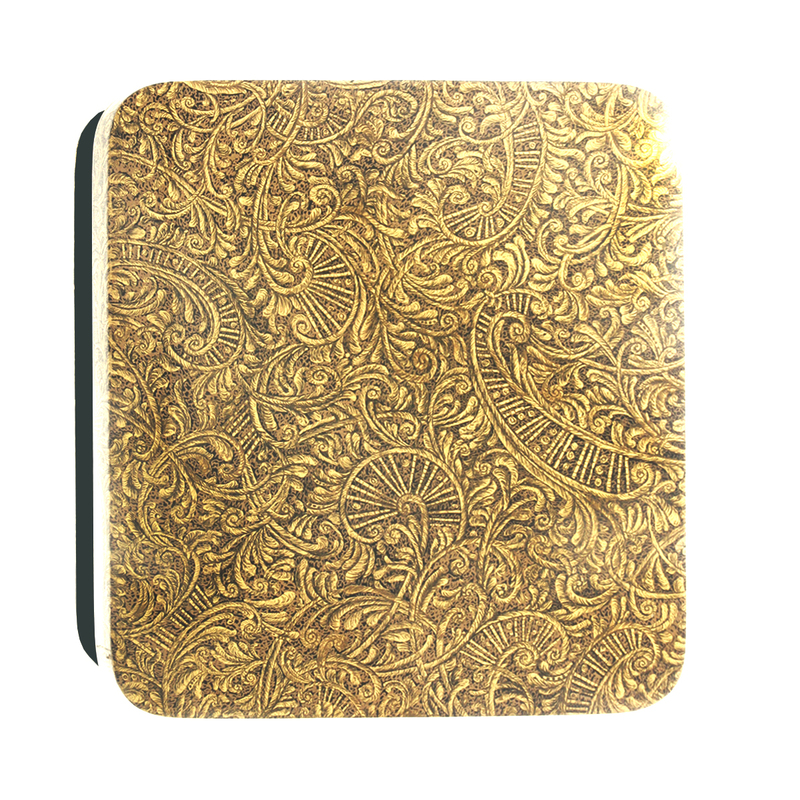 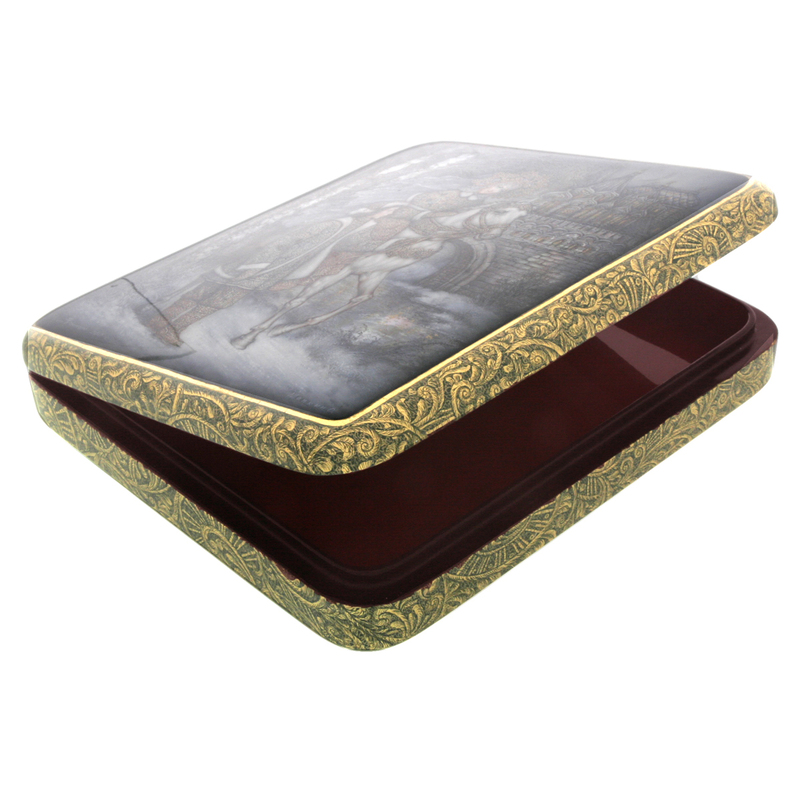 The back of the box is decorated with a complex pattern of interlacing and foliage made with golden color on a black background.